Paul and I are not only cousins but also best friends. We started the Jacques et Lilie adventure 3 years ago with the desire to take on the legacy and heritage of our grandparents, bakers in the south west of France. They used to own a renowned bakery at the seaside of Bordeaux in Cap Ferret, where we spent all of our summers and forged our best memories. It is these loving memories, which we have both held so dear, that inspired us to work together to revive our family tradition and bake cakes that are based on the family recipes passed down from generation to generation. 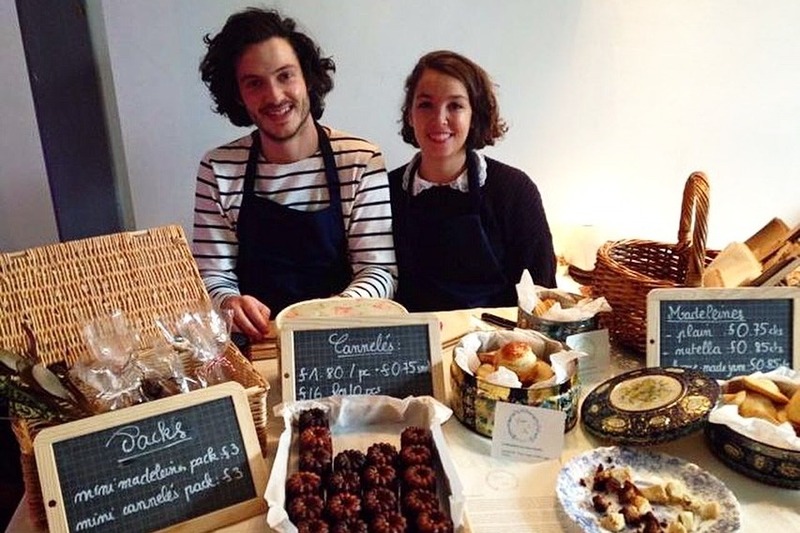 What started as some home deliveries on our vintage bikes quickly grew into trading regularly at markets, supplying cafés and hotels weekly, and catering for weddings and events. 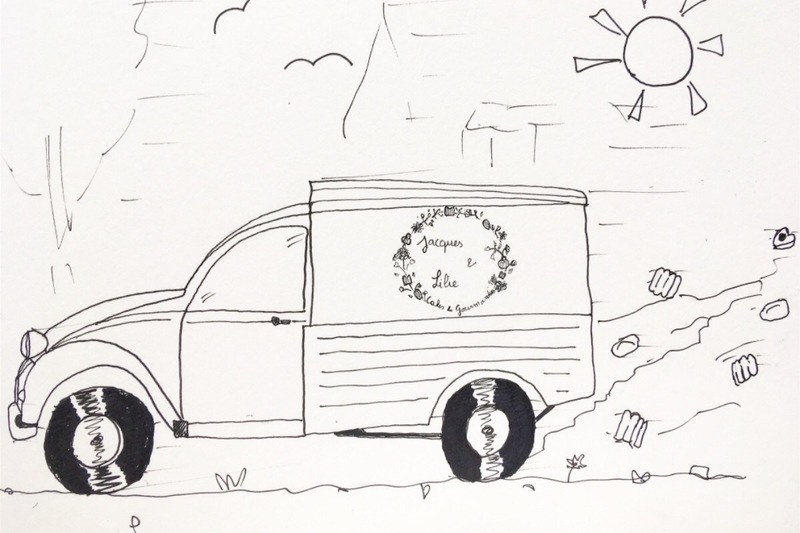 However we feel now that it is time to step up to the next level, which was our dream from the beginning: converting a 2CV fourgonnette into a coffee-van and creating our own little mobile patisserie and salon de thé shop. And all we need is your help to be able to do it!!! Paul et moi ne sommes pas seulement cousins mais aussi meilleurs amis du monde. Nous avons commencé l’aventure Jacques et Lilie il ya 3 ans avec le projet de reprendre l’héritage familiale de nos grands-parents, pâtissiers dans le Sud-Ouest de la France. En effet Ils étaient les fondateurs d’une patisserie de renom sur la presqu’île du Cap Ferret où nous avons passé tous nos étés et forgé nos meilleurs souvenirs. Ce sont ces souvenirs si chers à nos coeurs qui nous ont insprié à travailler ensemble pour faire revivre la tradition et les recettes familiales transmises de génération en génération. Ce qui a commencé par des livraisons à domicile en vélo, s’est très vite transformé en marchés réguliers, fournir plusieurs cafés et hotels et travailler sur des évènements et mariages. Cependant nous sentons qu’il est temps de passer à l’étape supérieure et à ce qui était notre idée et rêve depuis le début: convertir une 2 cheveaux fourgonnette en un coffee van et créeer de cette facon notre propre petite patisserie mobile. Et c’est pour cela que nous avons besoin de vous! - Paying for insurance, registration, and a parking place for our brand new Jacques et Lilie Coffee van. We hope to start 2019 with our new coffee van. Your support would mean everything to us as any donation whatever the size means getting closer to our dream. To say thank you for your help, in the Jacques et Lilie way, we will be giving a variety of rewards ranging from postcards, to fridge magnets, cannelés vouchers to an exclusive tote bag, plus reusable coffee cups and an invitation to the inauguration of our little coffee van. Thanks again and don’t hesitate to share the campaign and spread the word! Here is the type of van we are looking to convert! 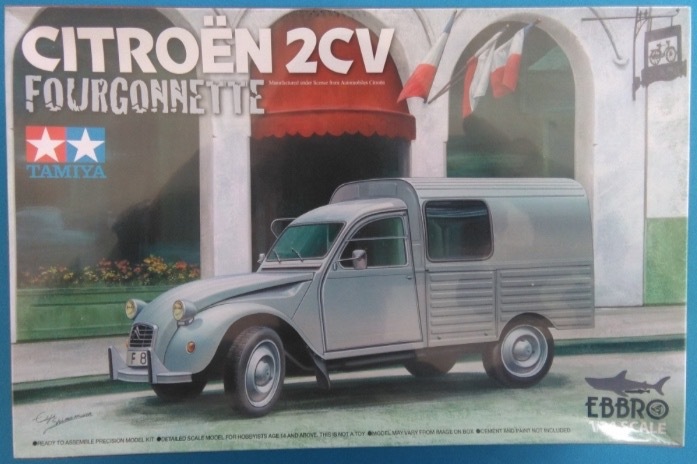 It’s been a while since I gave you an update regarding our exciting and ongoing project of getting the 2cv van. Do not worry it is very much still the plan! But as with all the best ideas, it never goes exactly as intended: the phrase“people makes plan, god laughs” makes total sense! Our goal was to buy at least the van outright using our savings and the generous donations that we received, and then get a loan for the rest (reconversion, coffee machine, van painting etc). At the moment with the crowfunding and our saving we have reached about £2500. After research, we estimate that with the very best of negotiations we could maybe get a van for about £4500. However, we unexpectedly had to move our kitchen and the new kitchen needed a lot of TLC to be fit for baking. Therefore we haven’t been able to save much more ourselves towards the van recently. Rest assured that we have kept all the donations towards the van, but our business savings definitely took a hit. But now that the new kitchen is done, we are back to putting all our hard work and focus on the van! The beginning of this year has been marked with fresh collaborations and an exciting new hotel customer which makes us very hopeful to get the van very soon. The delay given to Brexit works also in our favour and we will do everything possible to sort out our uk license as well as buy and pick up the van before Brexit happens to avoid any additional hassle! Which is good as it give us a time frame to work our butts off to! It’s been a month and a half since we started our crowdfunding campaign for the Jacques et Lilie coffee van. We are very grateful for all of your donations, it means a lot and warms our hearts. 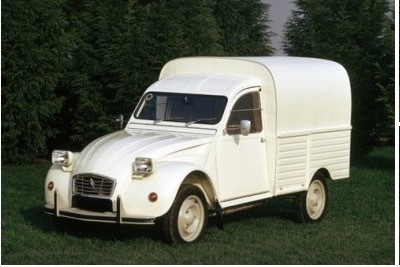 This month we’ve been looking at how best to get our hands on a 2CV van; Luckily our good friend Philippe knows a lot about vintage French cars, and he has offered us plenty of great advice. We are still on course to pick up our van at the end of this year, or the start of the next – although now it looks like there will be a super fun road trip from France back to England when we get it. We can’t wait for the experience, and also to see how a little old 2CV handles all of those miles!